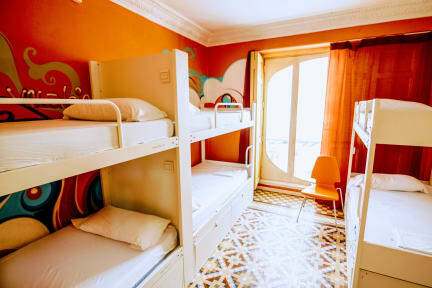 Red Nest Hostel Valencia i Valencia, Spanien : Boka nu! Good location, easy to get to places and the staff was very helpful. Only weird thing was that I couldn't walk around barefoot and without a tshirt. Otherwise I really recommend staying here if you're in Valencia.